By Wayne Hawkins Circle H Farms Pty Ltd Conkar Rd Frances South Australia. market specifications and also still produce a reasonable fleece at shearing. The Dohne fits into our sheep and cropping operation efficiently as documented below. I would like to share with you my journey of how I initially became involved with Dohnes and why I believe they are the ‘sheep of choice’. My focus will be on how their strong maternal instinct and attributes have proven to be a positive and financial gain for my farming enterprise. 1000 hectares was all cropping country so I had to look for somewhere else to place the sheep. I found some leased country where I grazed my wethers. The sheep were minimal work and it was easy. 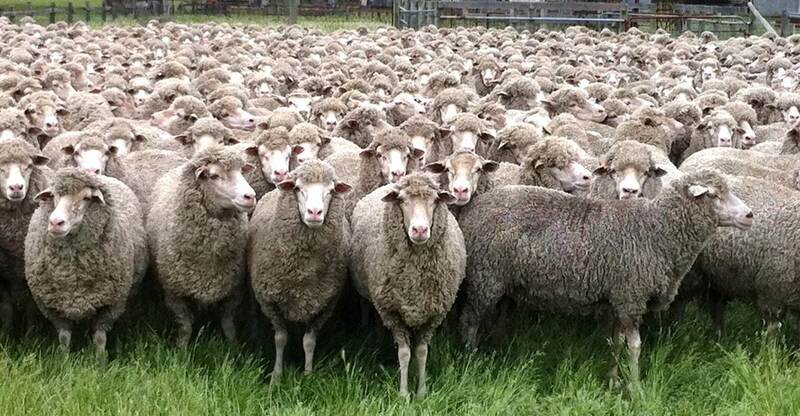 2000 Merino ewes and started a breeding programme. On this trip, I had a lightbulb moment. I was breeding sheep for wool. Wool prices were low at this stage. I needed to make more money. I decided the world needed to be fed, and meat was a great source of protein in the human diet. My focus changed, it went from wool to meat. I wanted to produce quality prime lambs. Not just any lamb, a lamb with a good carcase and one which had significant weight gains. This started my journey to find the ideal sheep that would have the attributes I wanted – decent micron wool, good quality meat and an excellent breeder. We visited the Dohne operations, and I liked what I saw. Here was a proven sheep breed that met all my needs. It was my ideal sheep. got the Dohne ewes home, the maternal qualities of the Dohne soon became obvious. They are fertile, natural breeders with a high libido. Great mothers – caring sheep that look after their lambs. They are excellent milk producers. Their lamb percentages are consistent and high. Lambing percentages are normally 115% – 125%. They have the ability to hold condition after lambing, even in tough conditions. They breed lambs that have high weight gains within 5-8 months of age, while maintaining a good fat cover. They are non-seasonal breeders – they are cycling all the time. Our own Dohne breeding program. Our goal was to have a highly functioning self-replacing Dohne flock. 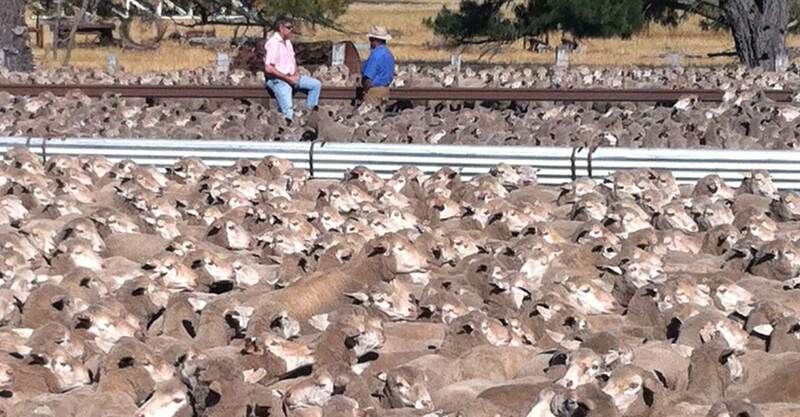 We began by buying old ewes with Dohne embryos from the existing studs we had seen in WA. To quicken the process, we bought embryos and started doing our own embryo programme here. This was so we could fast track our genetic gain and have purebreds on the ground as quickly as possible. With the rams, there was a lot of work involved and we didn’t have the correct management practices in place to do it ourselves. We contracted a local ram breeder to help us with our breeding program. In the early 2000’s, during the dry times, we were fortunate to have the opportunity to buy over 2000 purebred Dohne ewes from Western Australia. These ewes, added to our existing flock, boosted our numbers considerably. Everything from then on was mated to a Dohne ram. We were eager to multiply our purebred status as quickly as possible. It was so much easier due to the maternal qualities of the Dohne ewe. They bred easily and they produced a lamb that lived. To run this number of sheep, and allow us to keep our cropping country , we leased good quality grazing land for the sheep down at Harrow, Victoria, 100km south east from our home property. This worked well and the sheep thrived in this environment. At our peak we had 20-22,000 breeding ewes and 860 bales of wool. History of sheep – where do Dohne’s fit in? In the late 1990’s the gross margin of a sheep was 20% meat and 80% wool. Today, the gross margin for a sheep is 70% meat and 30% wool. This identifies the shift from wool to meat. This justifies the choice of Dohne as the ‘sheep of choice’ in today’s world with its dual-purpose excellence in wool and meat. The Dohne sheep has proven to be the ultimate dual-purpose sheep for Circle H Farms. During tough drought times on our farm they have proven to be resilient – they are low maintenance. Good movers in the yards – often don’t need dogs. You could almost call them ‘intelligent’. They produced good quality wool, which met my expectations of micron, length and quality. They are great breeders. Seeing the lambs slip out like ‘a piece of soap’ and be strong and healthy at birth is heartening. The one area which excited me the most was being able to increase my flock significantly quicker than I had been doing, due to the improved fertility and successful lambing of the Dohne ewe. Once the rams were put out it would seem that the ewe fell pregnant almost instantly. This is apparent at lambing time when the ewes basically all lamb around the earliest lambing date. It is heartening to see the ewes give birth so easily, whether it be single, twins or triplets. The lambs are strong and healthy and the mothers produce plenty of milk. Dohne ewes can easily manage lambing percentages of 115-125%. The lambs are fast growing and they have significant weight gain, allowing them to be marketed earlier. Even though they have a quick weight gain, they maintain their muscle definition and structure. The excellent lambing percentages, coupled with the early turn off of lambs allows me to maximise productivity. Lamb Management. Winner of the JBS Lamb Producer 2015. When I won this award, I sat back and looked at what had helped us come to this point. We had to constantly meet certain specifications to win, and I believe it was our management of our lambing programme that had a big part to play. 14th of April. This ensures they have plenty of nutritious feed and are at optimum condition when they lamb. The ewes that lamb on 1st of June, are put on the dryland pastures. Together with good feed and the strong maternal qualities of the Dohne ewes, the lambs have the best start in life. The lambs are born easily, they receive lots of milk and they gain weight quickly. Lambs are weaned after 12 weeks. The lambs are given priority of the existing feed and are returned to the circles to fatten. They are weighed and condition scored around August- September, and as soon as they hit 48 kg we start marketing them. We separate them into their weight ranges and continue to weigh them every month. The lambs are sold when the weight and condition score are spot on. We also run a twenty pen feedlot, which is used when numbers add up and profits can be made. In the bad drought years of 2002 and 2006, it was invaluable for maintaining and finishing sheep. It can be used depending on the season, and can be used for ‘opportunity purchase and finish’ options. The feedlot gives us flexibility when needed. Our overall aim is to be consistent and reliable with our lamb program. This way we have been able to foster strong relationships with our stock agents and buyers. Marketing. From August on, through the spring, we sell our lambs over the hooks to the domestic and export markets. The lambs leave the property and go direct to the abattoirs. Ability to build a strong relationship with the buyers. Certainty – we know the price we are getting for the meat. Skin price is our only uncertainty. Where are we now? When we won the JB Swift Lamb Producer of the Year, this reinforced my decision back in 2004 to start breeding Dohnes. Our farm culture is to do the best we can, to seek expert help and then act and make necessary changes. We like to keep up to date with technology. We have been using automatic weighing machines, scanning ewes and using capsules from when they first came on the market. They have all been valuable management tools; which have improved stock health and management, by keeping us better informed to make better decisions. The better decisions have led to significant cost savings. The Dohnes have proven to be successful, both commercially and financially. The main reasons for this is that there are fewer losses of lambs and their ability to be consistent with their weight gain. We have recently downscaled our enterprise and currently run 5000 Dohne ewes and 600 White Suffolk-Dohne ewes. This year, Circle H Farms has only 300 ha grazing for our total number of sheep. When they aren’t on the grazing land, irrigated circles, or the stubbles, they are fed in containment in the feedlot area. Overall impression ‘Stick to the Dohne programme.’ The Dohne industry should be the benchmark that all other breeds look to! The Dohnes more than adequately cover all aspects of what a good breed can achieve. Breeding is a long term process and it is proven that over time, the Dohnes will always do well, whether it is wool or meat that is the stronger commodity at the time, due to their strength in both areas. They are also survivors and excellent breeders. want to do anything at the expense of the strengths of the Dohne, in this case, their strong maternal attributes. My advice is “stick to the programme”. The long term benefits will outweigh any short term gain. Increased numbers/production of lambs. It would be great to have the technology or systems in place that can trace the processing data and/or dressing percentage results that identify the lean and high yielding carcases of the lambs processed from the carcase right back to the maternal ewe. This would then enable the breeder to quickly identify which maternal ewes in his or her flock produced the highest performing lambs. 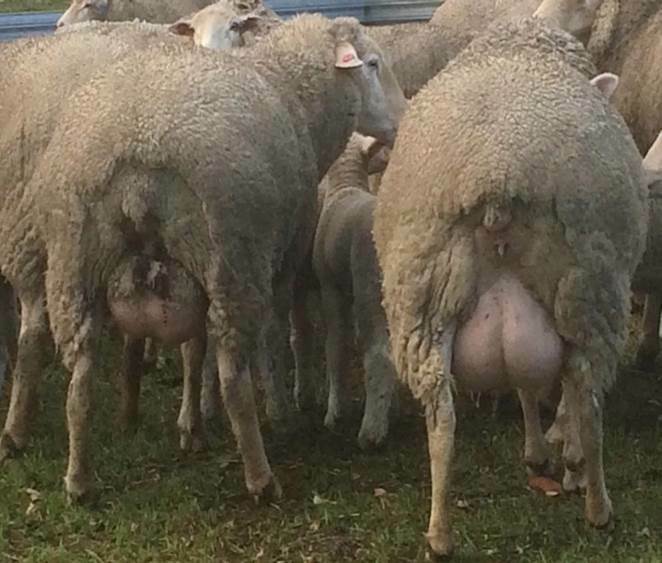 From this information these ewes could be placed into a program where the eggs could be flushed and placed in recipient ewes as embryos enabling the breeder to fast track the build-up of a high performance maternal ewe commercial flock that consistently produces fast growing, high yielding meat quality lambs providing increased profitability for the breeder or trader. As an industry, we have all being increasing our technical and visual assessments over the past ten years in understanding our Australian Dohne breeding capacity. I believe with this additional data we could increase our industry efficiencies, performance and make our industry more profitable. This already happens in the chicken and pig industries. Survival rate in Australia. From the number of foetuses that are scanned pregnant, through to lamb marking there can be a 25% loss. 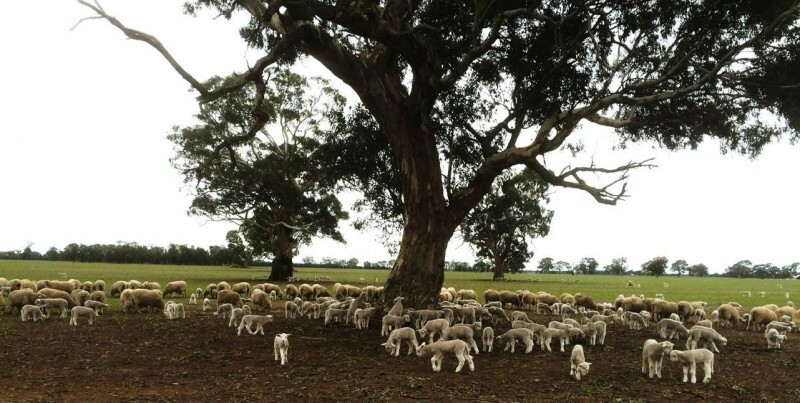 A 25% loss in production adds up to twenty million lambs in Australia. I would like to put the challenge out there to the sheep industry to investigate what happens between scanning and lamb marking. Everyone would agree that the maternal qualities of the Dohne ewe are perfect for Australian conditions. They are survivors – resilient and fertile. They are natural mothers who produce and rear high performance lambs. Our challenge is to manage them more effectively to get the optimal results using their exceptional mothering abilities.